An advanced nano-encapsulation technology that allows for higher pigment, metallic, and pearl concentration while providing superior particle orientation and ease of blending. Allows for maximum coverage with minimal coats. Provides outstanding color-match flexibility and optimum repairability. Enables outstanding adhesion and rapid tape and dry times for fast repairs. 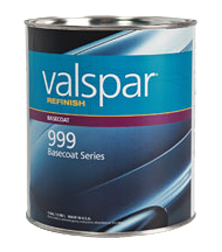 More than 8,000 OEM color formulations are documented in the Valspar Global Color Box using Z-Base.